Get up close and personal. Providing opportunities for people to experience visual art in person is a key part of our mission. We have three different exhibition galleries in our building, as well as outdoor and auxiliary shows around town. Our main gallery features traditional, contemporary and cutting edge work by established and emerging artists throughout the Bay Area. Located at 1337 Fourth Street, this gallery showcases the best of local art through large storefront windows in the heart of San Rafael. To the serious collector, art lover or visitor, the gallery serves as the public face of Art Works Downtown and a direct connection to our community. The Underground Gallery features a wide variety of work in an intimate setting. This space is available monthly to artists for solo shows, small group shows, or installations. 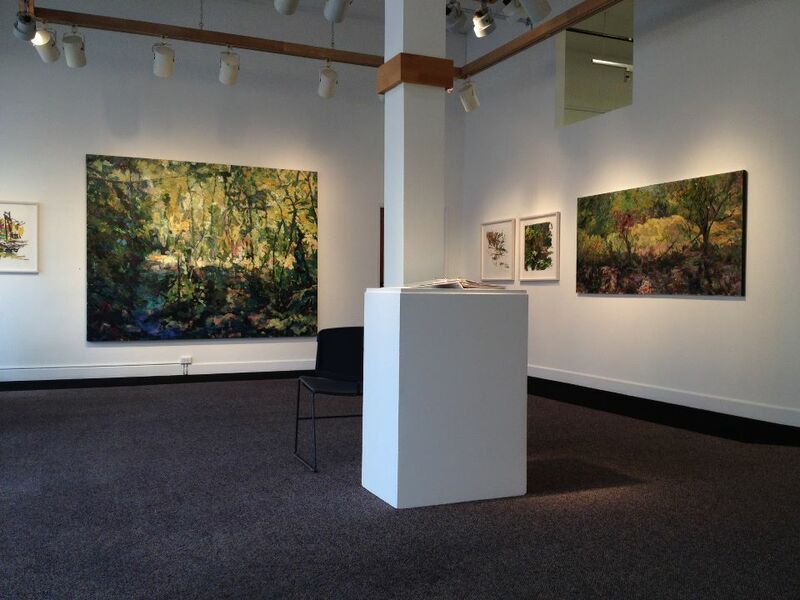 This gallery offers an attractive exhibition space as well as a unique setting for parties or events. This space is available monthly to artists for solo shows orsmall group shows. This gallery offers an intimate exhibition space in a street level display space. This space is available monthly to artists for solo shows or small group shows. Experience rotating installations of outdoor art and sculpture in several downtown locations, exhibited in partnership with the City of San Rafael. Click HERE to see the work of our Studio and Associate artists in other venues.